In 2009, when I became seriously interested in singing, I was offered two wonderful songs written by (my now Husband) the singer songwriter Mark Bass . 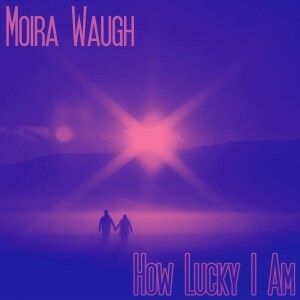 I chose to record ‘How Lucky I Am’ because it is one of the sweetest, prettiest love songs I’ve ever heard. When I heard the accapella the first time (and knowing that Mark and Moira liaise) I immediately thought about „Captain Of My Heart“ by the Band Double. Not that the lyrics are related but I kind of had such a setup in mind. When I started developing the chords I tried kind of to adopt some of the structure of that song which also was one of my favorite songs back in 1985. So with this backtrack I drag my head for Kurt Maloo and Felix Haug. they’ll look at us and smile, good love’s even better when it take a while. Glad we’ve found each other somehow. The waiting on that one time really worth the fall. Just want us to be together, two lives lived as one and I’ll be loving you. Dieser Eintrag wurde veröffentlicht in Allgemein, Jazz, Pop, Songwriter. Lesezeichen auf den Permanentlink.